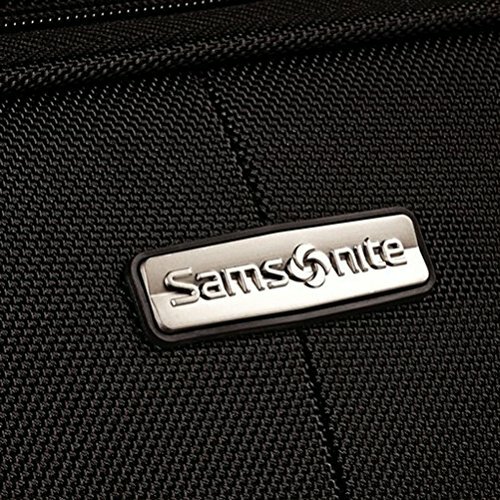 When I hear the word 'luggage', the first thing that comes to mind is Samsonite. They are globally popular for their high quality suitcases, and one of the best-selling luggage brands in the world. And they are one of the few brands that make me actually want to buy a softshell suitcase - like the Aspire Xlite. The hardshell vs. softshell luggage is a big debate among frequent travellers. If you prefer the latter, then you are going to adore this suitcase! It has all the features that good softshell luggage needs, and then a little bit extra just to win your over. What About The Packing Compartment? 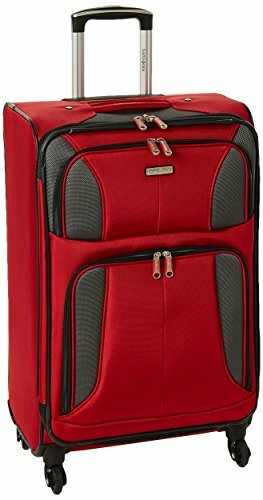 Is The Aspire Xlite Luggage A Must Have? 20.5" x 13.5" x 8.5"
24.5" x 16.25" x 9.0"
29.0" x 18.5" x 11.5"
The numbers on their own don't really mean that much. 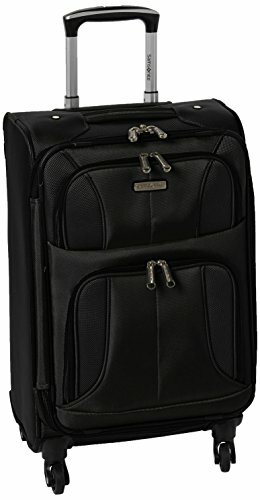 But when you compare them to some other similar Samsonites, like the affordable Mightlight collection, you then notice that the Aspire Xlite luggage is heavier than it should be. The Mightlight suitcases are about 2 lbs lighter than the Aspire Xlite ones, in addition to being a couple inches larger. When looking at checked luggage, 2 lbs doesn't seem like too big a deal. But when you look at the smallest suitcase here, the 20" carry on, then the weight difference is somewhat worrying. Especially because the usual limit for in-cabin luggage is 20 lbs, and in that case every ounce counts. But that is a downside that mostly affects people who fly often. 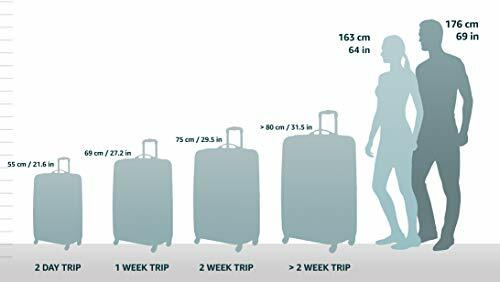 If you are travelling by train, bus or your car, then you don't have to worry about the weight of your suitcase as much and the 2lb difference is trivial. And luckily, this luggage has some pretty awesome features that totally make up for the weight thing! 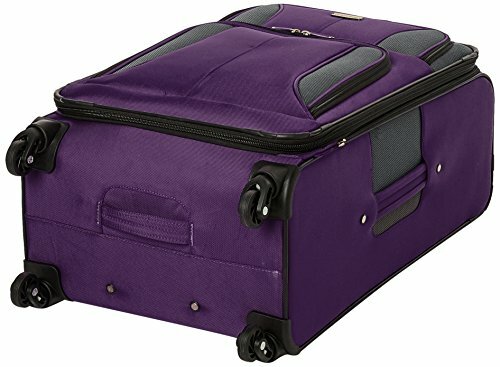 The material that your suitcase is made from is going to impact two things: the durability of the luggage and its price. The more durable the material the more expensive the suitcase, which is why polycarbonate hardshells are the best and most expensive hardshell luggage. The Aspire Xlite collection is made of polyester. That material is often used in not only softshell luggage, but also backpacks. It is pretty durable but it is definitely not as durable and sturdy as nylon. But, it is also not as expensive as nylon, which is a good thing. And on that note, all of the Aspire Xlite suitcases have very attractive price tags. You can get the two smaller ones for less than $100, but only on Amazon. And of course, the exact price often depends on the color that you choose. 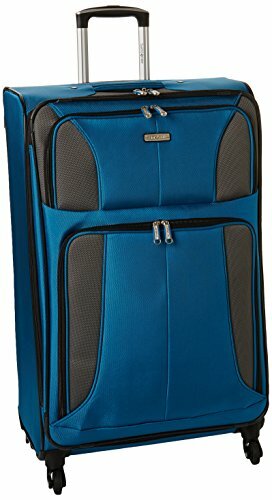 Here's a tip: if you are looking to save as much money as possible and you don't really care about the color of your luggage, go for the black or blue ones. 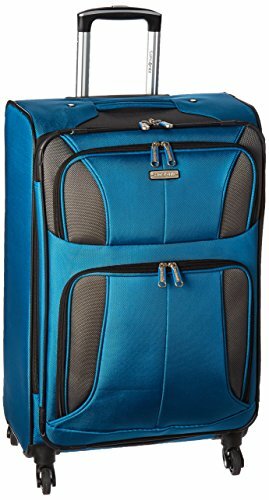 They are the cheapest versions of these Samsonite suitcases. One reason why I am not a big fan of softshell luggage is that it is usually equipped with in-line skate wheels. You know, the ones that you can't get rolling unless you tilt your suitcase and drag it behind you, which in turn leaves your arm feeling like jelly. But fortunately, that isn't the case with Samsonite Aspire Xlite luggage! All of the suitcases from this collection feature single spinner wheels. 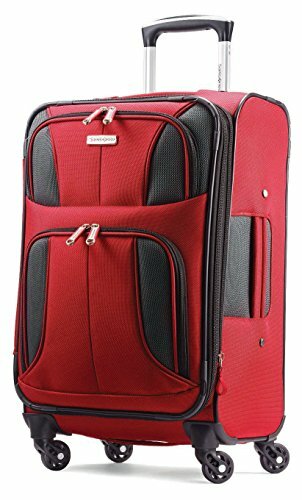 If you don't know what a spinner wheel is, I've got your back - it is a wheel that can turn 360 degrees when the suitcase is standing upright. So, you will be able to push your luggage in front of you or roll it alongside you - whichever way you find the most comfortable. 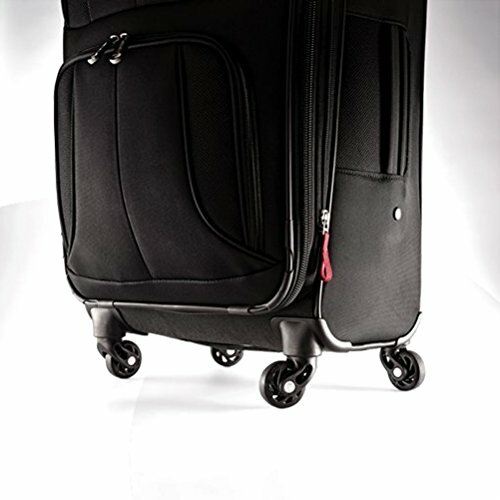 Spinner wheels give you much better maneuvrability of your suitcase than you have with in-line skate wheels. And not just that; they also mean that you won't have to deal with pain in your arms ever again. They are a little bit fragile though, so be sure to actually pick up your suitcase when going up or down the stairs, to avoid damaging them. 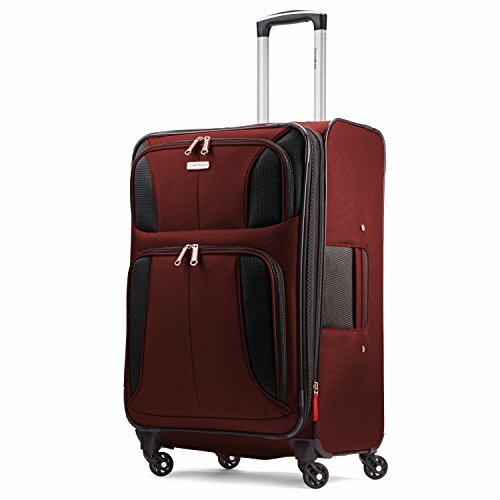 These Samsonite suitcases come with a double-barrel retractable wheel handle. You can lock it in place with the push of a button when it is fully extended and when it is stored. But sadly, you can't lock it into multiple positions when extended, so you might find it to be too long or too short, depending on your height. There are also two carry handles on the Aspire Xlite luggage. One on the top and one on the side, just like you would expect. One thing to note is that they are both padded, so picking up your heavy suitcase will at least be somewhat comfortable! My absolute favorite thing about softshell luggage is that it almost always features several external pockets. That allows you to organize your stuff better, and also to quickly stash any items that you forgot to pack inside the main compartment. The Aspire Xlite luggage has two such compartments. One is very small, and it's great for any last-minute items, but it is also just the right size for your airport necessities - boarding pass, passport and whatnot. Oh and keep in mind - the larger your suitcase, the bigger these pockets are going to be, just like the overall capacity of the bag. Do you have a hard time packing because you can't decide what to bring on your trip? Do you like to go shopping when you are travelling, and often struggle with fitting everything you bought into your suitcase? Then you need one of these Aspire Xlite Samsonites! That's because all three of these suitcases have expandable capacity. So, you will have two zippers to the main compartment - one that is going to open or close it, and the other that you can use to expand the capacity of your suitcase. Samsonite doesn't state exactly how much extra space you can get with this feature, but in general you get at least two extra inches. That is the case with most of their other luggage, and I don't see why the Aspire Xlite would be any different. The packing compartment is pretty much the star of any suitcase. It doesn't matter if the luggage you have your eyes on is gold-plated - if its packing compartment isn't functional, you don't want to waste money on it. 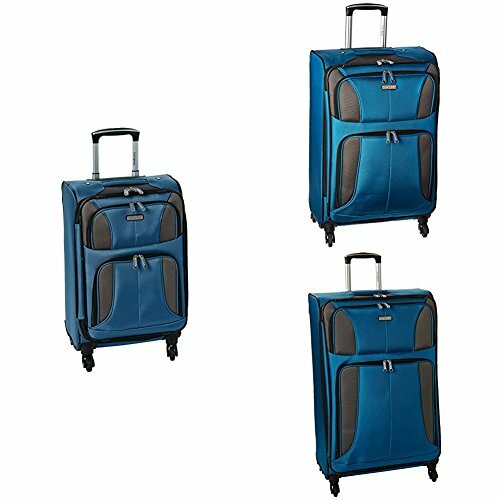 The Aspire Xlite suitcases have a single packing compartment, which is fully lined. It is pretty spacious, but of course that is going to depend on the size of the suitcase you get. There aren't too many features inside it, however. There are the cross straps that will help you secure the contents of your suitcase. That way your stuff won't get jumbled in transit, and everything will stay neatly organized. But sadly, there aren't any additional pockets inside the packing compartment itself. There are, however, two pockets on the front panel. The top pocket is mesh and zippered, and it's great for any smaller items you want to keep separate from your clothes. The bottom pocket is waterproof, and it is designed to keep all your wet clothes separate from your dry ones. It's like the Aspire Xlite wants you to go for that last swim a few hours before your flight home! And you could also use it for your toiletries, and avoid any shampoo explosion disasters. If you desperately need a new suitcase and you dead set on getting a softshell one, then the Aspire Xlite luggage is a great choice for you. There is plenty of variety to choose from - not only size variety, but also color variety. And like I already mentioned, some colors are cheaper than the others. The Blue Dream and Black versions of this Samsonite are the most affordable options, and you could easily safe $50 if you opt for one of those. But the color is pretty much the least important feature of this luggage.It is much more important that the suitcases are equipped with single spinner wheels, padded carry handles and the telescopic, lightweight wheel handle. And that they have a large packing compartment with cross straps, in addition to the two external pockets on the front panel. I would say that you can skip these Samsonites if you already own several pieces of luggage and you are just looking to add to your collection. If that really is the case, I would suggest you check out a few other Samsonites - maybe a hardshell would be a more appropriate choice for you. But if the Aspire Xlite looks good to you, head over to Amazon. You'll get the best deal there, and you can even get the set of all three suitcases for a bargain!